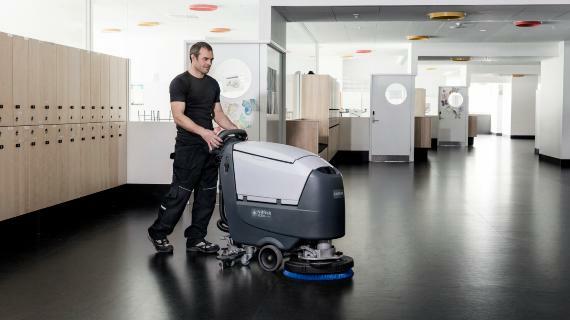 Nilfisk helps create a healthier environment for enhanced learning. To ensure a clean, creative and positive learning environment, you depend on the very best cleaning equipment and services. The need for daily cleaning and the presence of students for many hours each day means you must carefully balance your cleaning requirements with limited time and labor resources. As your cleaning partner, we are dedicated to helping you maintain a clean, safe and healthy learning environment. To assure the health, comfort and contentment of students and staff, you work hard to achieve the highest level of cleanliness in your facility. The air quality, safety and environmental effects of your cleaning practices are important. Nilfisk’s revolutionary and patented floor care solutions can help you reduce water and chemical consumption, improve indoor air quality and reduce the overall environmental impact of your floor cleaning practices. 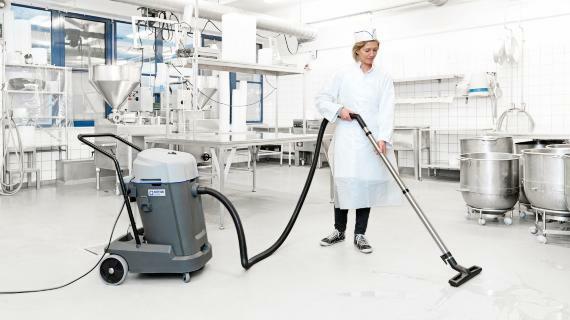 Nilfisk floor and surface cleaning equipment is used in all types of educational facilities all around the world. We clean everything from pre-school play areas to higher education lecture halls, as well as indoor classrooms, offices, entryways, hallways, auditoriums and gymnasiums. We also offer outdoor applications including machines to clean parking facilities, athletic fields and sports complexes. Whatever your educational facility needs, Nilfisk is ready to offer you our commitment to superior value, reliability and efficiency. Clean and dust free environments help to create pleasant learning conditions that can improve student productivity. 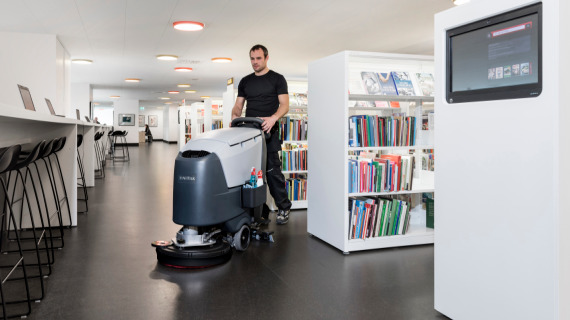 Nilfisk’s products improve the cleanliness of all types of educational facilities including classrooms, workshops, libraries and auditoriums; kitchen and canteens; indoor sports facilities; outdoor sports fields and paved areas. With heavy footfall from students many hours a day, continuous daytime cleaning may be essential. Innovative technology and ease of use make our lines of automatic scrubbers, burnishers, vacuums and carpet extractors quieter, more effective and more efficient. Floors are cleaner and safer, and fewer chemicals and detergents are used, improving indoor air quality and safety for students and staff. Nilfisk’s products are designed to clean in confined areas, under furniture and as quietly as possible to minimize disruption. In woodworking and metalworking workshops, students can be exposed to potentially harmful dusts. Nilfisk is a specialist in this field and can offer expert advice and a range of industrial vacuum solutions to meet health and safety obligations. When preparing food for many students and staff members every day, it is important to maintain excellent hygiene standards in kitchens and canteens. 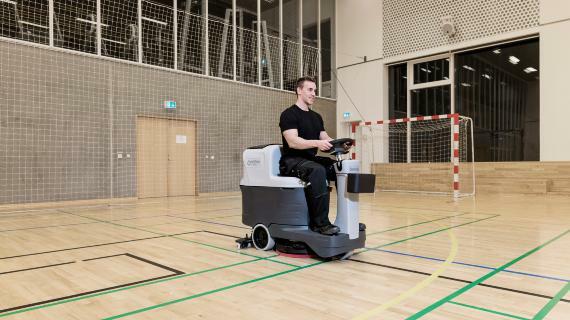 Nilfisk’s range of scrubber dryers includes models that can offer both forward and backward scrubbing and drying, and the ability to clean in narrow areas hygienically and more productively than manual methods. Nilfisk wet and dry vacuums can be used in wet and dry applications without the need to change filters. Different size areas and different floor types require a variety of cleaning solutions. Nilfisk Ecoflex chemical dosing system ensures that every floor - from light traffic areas to heavily soiled traffic zones - are cleaned in the most environmentally gentle and lowest-cost way. Walk behind or ride on a scrubber dryer – the choice is yours! Outdoor areas require ongoing maintenance throughout the seasons. 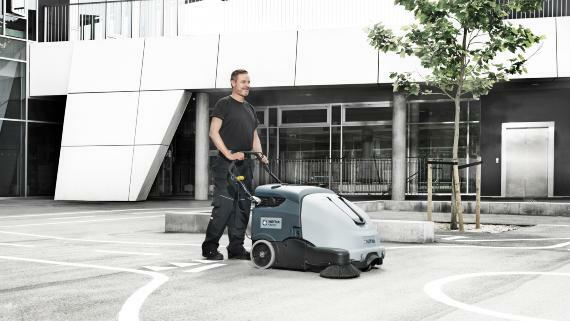 Nilfisk provides sweepers that can be used to maintain pathways, pavements, yards and car parks. Our range of outdoor utility vehicles are suitable for multiple maintenance applications, including mowing of sports fields, snow clearance and gritting, plus sweeping applications – all possible with the quick change of a machine attachment.